Elderly abuse is the intentional mistreatment or neglect of an elderly person by anyone with whom the victim has a reasonable expectation of trust that causes risk or harm in some way. Whether it is a one-time incident or repeated, there are multiple variations of elder abuse. A newer form of elderly abuse, specifically of individuals living in nursing homes and assisted living facilities, is increasing at an alarming rate: social media abuse. Demeaning photographs and videos of patients in various stages of undress, in private situations such as using the bathroom, bathing, or incidences of incontinence top the list of offensive posts. While these are not physically harmful to the patient, it is a violation of their privacy and expectation of care, not to mention the humiliation and demoralization they and their family feel upon learning about these breaches in confidence. According to a report by ProPublica, last spring a nursing assistant shared a Snapchat photo of an elderly and incapacitated resident, who had extreme cognitive impairments due to dementia, with his pants down and feces on his legs. The nursing assistant was fired. Other instances of social media abuse have included video clips of caregivers verbally or physically assaulting residents, encouraging them to act in ways or say things contrary to their character that they or their family would deem inappropriate and shaming residents for their lack of physical or mental capacity. What is being done to Prevent Social Media Nursing Home Abuse? Most nursing facilities, assisted living communities, and long term care centers have policies that prohibit the use of cell phones and other digital devices while on duty or in patient areas. Unfortunately, often times the facilities are understaffed or are not vigorous in their compliance with or enforcement of these policies. Caregivers, whatever their capacity, are required by most governing bodies to be screened for violent and other crimes. Certification and proper education and licensing are required for skilled nursing staff and some other direct patient care positions, but basic care staff such as nurse’s aides and support staff positions such as cleaning and food service are often the least paid and the least specifically educated in patient contact and care. Many establishments offer in-house training and “certification” to aides that is valid at their facility and in their state, and most nursing home and caregiver companies require at least minimum training in compassionate care and the understanding of signs of neglect or abuse in the aging. The Center for Medicare and Medicaid Services and other federal health organizations overseeing nursing home and elder care facilities have determined to be more diligent in checking for policies prohibiting staff from taking photographs and videos of their residents, and to investigate all complaints and reports of any infractions. State health agencies have resolved to enforce policy compliance and investigate accusations of abuse quickly and respond accordingly to the outcome of those investigations. Additionally many state and local health organizations are offering training in the prevention, detection, and reporting of nursing facility abuse, neglect, or exploitation. New regulations from the CMMS provide changes aimed at helping residents and enforcing policy compliance. One such change is regulations that offer residents more control over their daily decisions such as by whom and when they can have visitors, and even allows residents who are able to make such decisions to choose their roommates. Since isolation is one of the most determining factors in ongoing abuses this change alone could help immensely but other changes and regulations will be phased in between now and the year 2019. 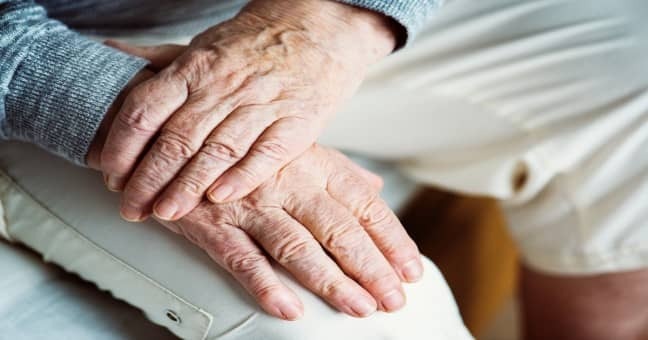 According to The National Council on Aging “1 in 10 adults over the age of 60 have experienced some form of elder abuse,” and authorities estimate that only 1 in 14 cases are reported. The under reporting of offenses is due in large part to the vulnerabilities of the elder adult, who are often unable to communicate the transgression to proper authorities. In many cases, the patient’s complaint is dismissed and attributed to mental decline, hallucination, or other incapacities. By law any healthcare professional, doctor, nurse, or social worker is required to report any signs of abuse or neglect. Many states require anyone who has knowledge of abuse or neglect to report it. Family members and victims may choose to contact a Nursing Home Attorney or Nursing Home Lawyer, which is one who specializes in local, state and federal laws governing nursing home care and elder victims’ rights. Knowing the signs is the first step in helping those who often cannot help themselves: obvious changes in behavior, withdrawal from social contact, bruises, bleeding, unexplained wounds, weight loss, lack of hygiene, and signs of unexplained infections or disease are all physical signs of abuse and should be reported. If the person is in immediate danger, calling local authorities such as police is necessary. If you suspect that an offense has occurred or is ongoing you must call your local Health and Human Services office or Georgia Department of Public Health office and file a report. Some states and agencies allow anonymous tips, while others require your name and contact information.